How to fix “Macbook camera not working”? Home »	Fix » How to fix “Macbook camera not working”? Issue: How to fix “Macbook camera not working”? Suddenly, my camera stopped working. 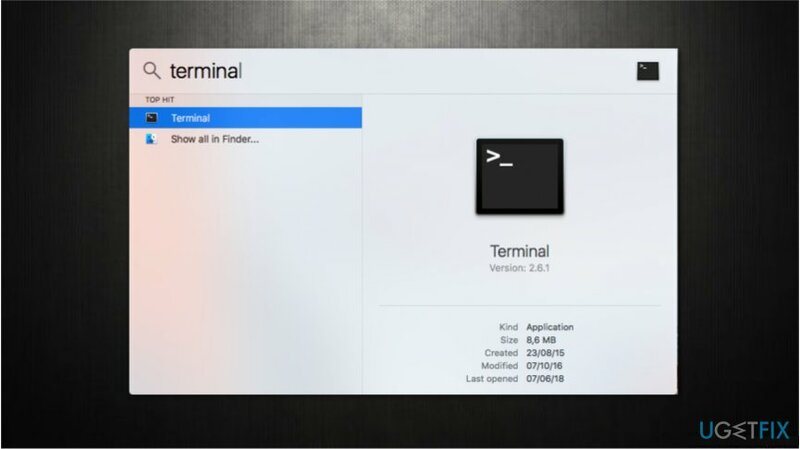 I'm using Macbook and tried to restart the computer. Unfortunately, I continue to receive “Macbook camera not working” error. Do you have any solutions? Thanks! Macbook camera not working error might be a frustrating problem which prevents accessing the camera. Usually, in-built gadgets do not cause any problems. 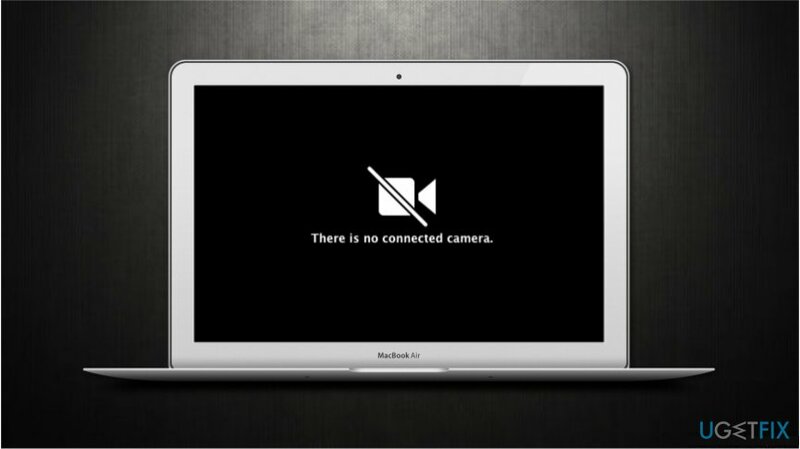 However, users who try to access their front cameras on Mac computers can encounter a black screen with “There is no connected camera” message. 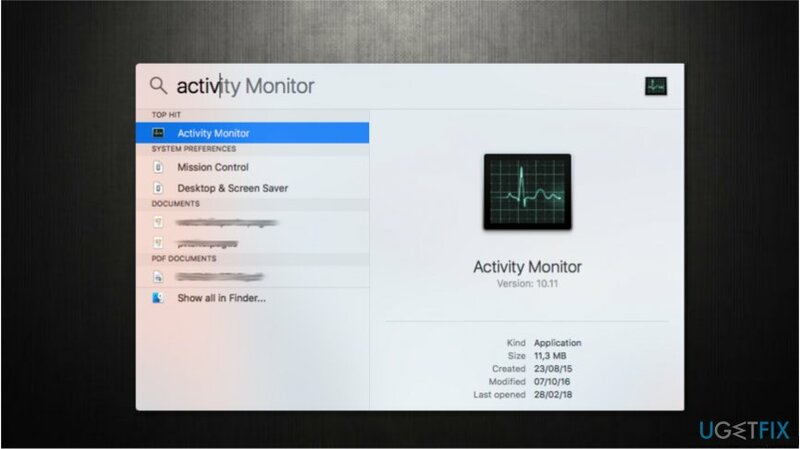 Unfortunately, it is hard to identify the only cause why you might receive notifications about “Macbook camera not connected” issue. First, it is essential to check whether this problem is related to applications or hardware itself. Experts suggest trying to turn Macbook camera on multiple different applications, like iMovie, PhotoBooth, or FaceTime. In most cases, Macbook camera settings might be misconfigured and deliver Macbook camera not working error. If some programs successfully access camera while others don't, then there is a problem with the Macbook camera app. Fortunately, there are ways how you can modify system settings and fix this error. Otherwise, if Macbook camera won't turn-on on any apps, this might indicate a hardware issue, and you must contact your local IT technician. Despite that, it is advisable to try fixing your camera manually by following the guidelines listed below. Please, follow them attentively. Additionally, experts recommend you to check your system for potentially unwanted programs (PUPs) which might be interfering with the camera. Also, if a virus has infected your computer, it might have damaged some system files and cause Macbook camera not working issue. 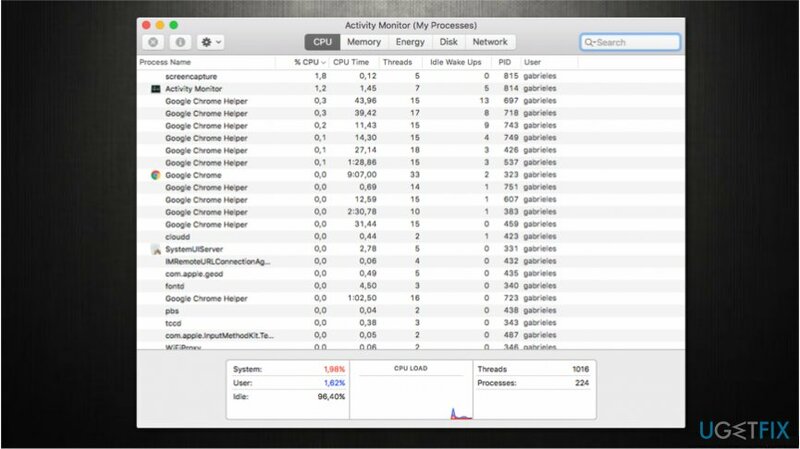 Thus, run a full system scan with MacKeeper to eliminate all cyber threats. Try to access the camera. Try to use your Macbook camera. 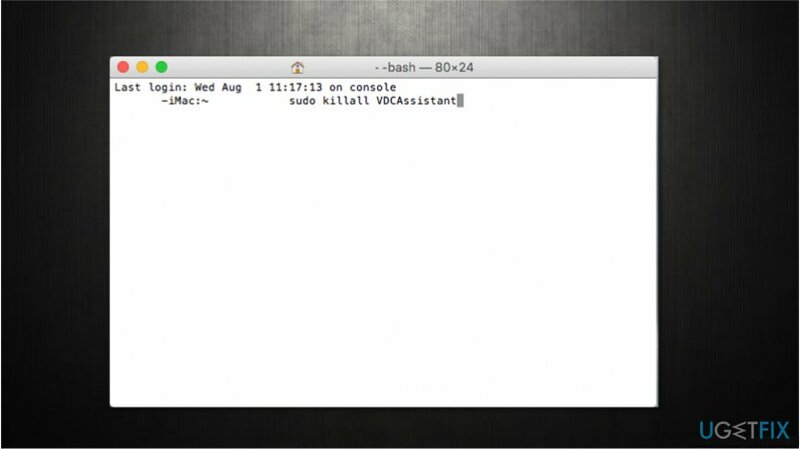 In some cases, the applications might crash if the operating system is out-of-date. Likewise, it is important to check whether all your programs and OS are updated to the latest version. ^ Computer Hardware. Wikipedia. The free encyclopedia. ^ Potentially Unwanted Application. Trend Micro. Enterprise Cybersecurity Solutions. ^ Margaret Rouse. virus (computer virus). TechTarget. SearchSecurity.